This event is free and everyone is invited. 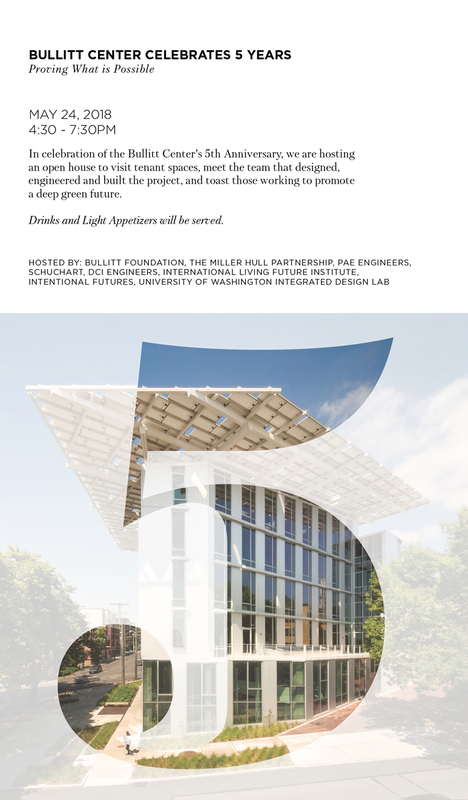 Please join the Bullitt Foundation, The Miller Hull Partnership, PAE Engineers, Schuchart, DCI Engineers, International Living Future Institute, Intentional Futures, and University of Washington Integrated Design Lab for a celebration of the Bullitt Center. Appetizers, beer, wine and non-alcoholic drinks will be served. 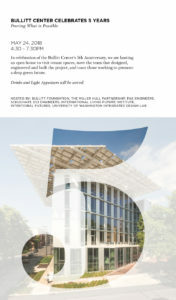 Various offices will be open during the event to tour through the building. Thank you to Fremont Brewing for kindly donating beer for this event.